An absolute hit! Meet one of the most popular themes from Mr GUGU & Miss GO collection, the one you have been in love with for a long time. No wonder why. The same thing here. 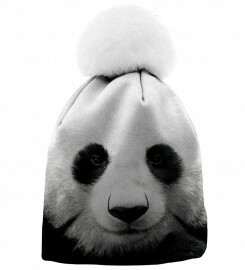 We love the panda which is a beautiful symbol of wild nature threatened by human mindlessness. The Panda graphics has become a hallmark of our brand and an example of how great effects are delivered by the fullprint technique. The most important features of this design include excellent detail, deep colours and realism. You can take the Panda to a party, school or college and you will always be noticed. That's you, isn't it!